Love you to the Moon and back mugs are MADE TO ORDER just for you! Please allow time for production. 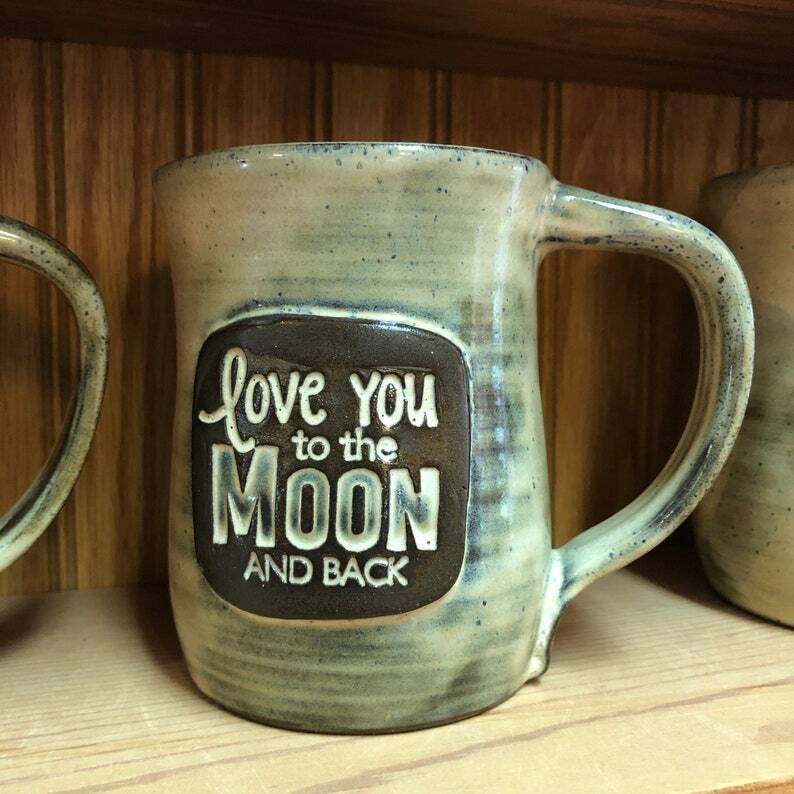 This Love you to the Moon pottery mug and a nice, hot cup of coffee, tea or hot chocolate will help renew your spirit... Go ahead, relax, enjoy your drink... Pottery's natural insulation helps keep hot drinks hot and cold drinks cold. This Love you to the Moon ceramic mug holds approx 12-14 oz. 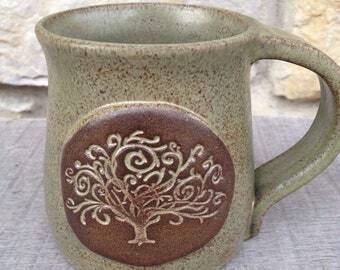 This pottery mug is microwave and dishwasher safe. The handcrafted Love you to the Moon coffee mug is glazed with birch, lead free glaze over dark brown clay resulting in a unique cream with brown and blue speckles the dark brown clay can be seen through textured areas. The Love you to the Moon medallion is hand stamped and attached and glazed to show off the natural beauty of the dark clay. Each clay mug is individually wheel thrown and hand painted. Natural variations will occur. This listing is for one Love you to the Moon coffee mug... not the color you like? Request a special order! A one of a kind wheel thrown piece you are sure to enjoy for years!